2010 Sportsbike Of The Year Issue – OUT NOW! The waiting is over – our 2010 Sportsbike of the Year mega-test is now on the shelves, so hurry out and get your issue before they all disappear into the distance as fast as the winner did. 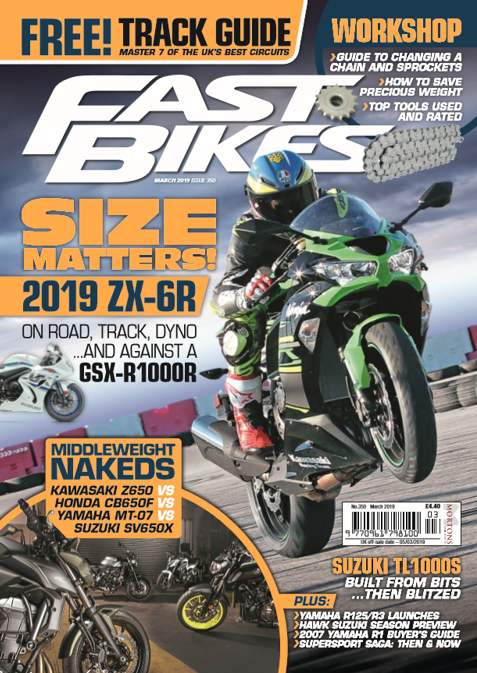 As if we’re not already spoiling you with stunning content – you’ll also get an awesome Fast Bikes Tank Pad free with your issue. It’s not some cheap crappy sticker either – it’s a retail-quality tank pad. You’d be daft to miss it! Isle Of Man TT – Hilarious insider feature with John McGuinness, Steve Plater and Guy Martin; you’ll find out things you really never wanted to know about them! Previous Post:Fast Bikes Trackday – BOOK NOW! hey guys hows things..now this aint a complaint no siiir eeee…lol i got ur new issue with the tank pad nice but i also got a set of allen keys too?…bonus i guess! !….told my friends who then went out to buy ur magand guess what? no allen keys …weird lol guess i was lucky, they always come in handy for the underseat toolkit!! thanks again guys! !